NordicTrans, a top tier UK translation company, is well recognized among business persons, students, IT heads and companies worldwide for its accurate yet affordable translation services in the UK. Our aim is to provide the most accurate translations, no matter the field or the language combination involved. Quality is our utmost priority, and we strive to give you that at the best prices. We have a highly skilled team with nearly 20 years of experience. Our members can surely provide professional help with any linguistic challenge you may have. Your data is secure with us. Team-wide NDAs, encrypted workflows, and ISO-accredited management systems make certain that your data is at no risk. NordicTrans is an UK translation company specialized in the Nordic languages but perfectly able to provide accurate translation services for any language. We deal with well-known companies around the world and although our office is in Birmingham, clients from all over the UK are using our services due to high accuracy and affordable prices. No matter what documents you may need to have translated, we have enough resources in order to quickly assign 2 professional linguists specialized in your field of expertise to translate, edit and proofread, so you can have the most accurate translation done in a timely manner and at one of the best prices you can find in the UK. Individuals immigrating to the UK can also count on us for their translation needs. Birth and marriage certificates, divorce decrees, academic documents are only some of the personal documents we deal with on a daily basis, and we deliver certified translation for all of them in 24 hours or less, at a price you will find really affordable. Stop wasting your energy, time, and money with various translation providers advertising high quality and fast turnaround, giving only empty promises. Using our services, you are guaranteed that the certified translation provided by us will be accepted at the Immigration Office, or anywhere else you may need it within the UK. 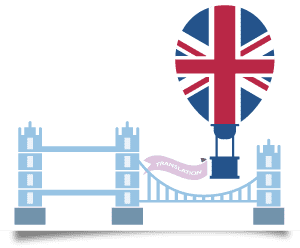 Why translation services in the UK? At this modern day and age, the world is progressing more rapidly day to day in globalization and technology. Hence, it is crucial for companies to keep up with the latest technology. NordicTrans also, for this reason, improves its processes every day rather than sticking to the old ways of translation. 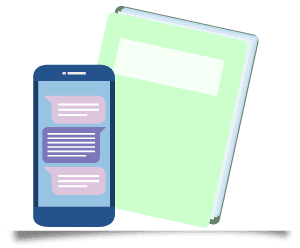 This is the main reason for cutting some waiting steps, allowing more time to actual translation rather than spending time in searching the appropriate translator, making services faster and more user-friendly. Our approach is quite up to the minute. We also provide a 24/7 online support where your questions and queries are answered in seconds. Furthermore, NordicTrans provides affordable rates as compared to many other translation agencies. Besides providing translation services for the Nordic languages, NordicTrans is the UK translation company you can trust for the translation of any other languages as well. With our 24/7 service, you just have to provide us the file to be translated and the required language and we will quote the estimated price for you in 5 minutes or less. The world is becoming increasingly global. Opportunities overseas are more significant than ever, though the difficulties of communicating are more difficult due to the world’s multilingual and multicultural qualities. Whether you’re working on a judicial case, directing global marketing campaigns or just giving information in another language, you need to get your information accurate. Getting your communication strategy appropriate, through document translation services, localization, and multimedia services can be the distinction between success and failure in communicating your message. Translation is more than taking words from one language to another. It’s about efficiently communicating your information in different languages; moving across boundaries and demographics to open new demands and grow your business. At NordicTrans, our language translation process is simple. As a leading UK translation company, we know what you’re trying to reach; we assign the best linguists to your project and make sure we meet your goals. And if that simply is not enough for you, we also offer the lowest prices on the market for any linguistic assistance you may need. Language Specialization: A freelancer is proficient in translating from and into one specific language set. At NordicTrans, our professional translators are well-versed in different styles and have significant experience in working with various languages and industries. Areas of expertise: A freelance translator has most often one particular area of expertise like law, medical, finances or business. NordicTrans, on the other hand, has a pool of expert translators who have the skills of serving different niche areas. 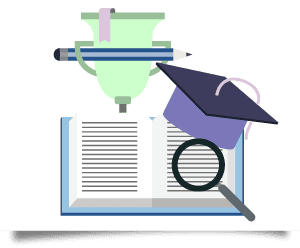 Consistency: With freelance translators, you are doubtful of the quality you will get, and you also have to go through a precise selection process to ensure you are picking the right person. This would require investing time and resources. 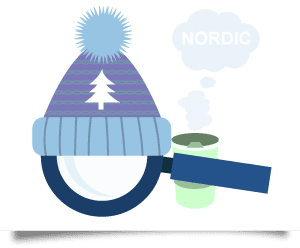 Working with NordicTrans is easier because you do not have to spend extra time searching for the right translators and you are sure you get quality output. NordicTrans provides accurate translation services in the UK and in the US and we deal with any private and corporate documents in over 100 global languages. We serve industries like media, medical, e-commerce, law, automotive as well as the public sector. 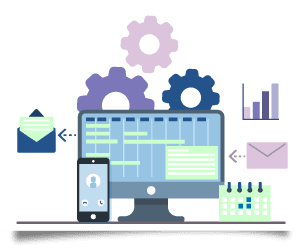 Whether you need your documents translated or your website or software app, you need to make sure that the translation is accurate and perfectly adapted to the market you are targeting. To work efficiently in abroad markets, companies need their documents and websites accurately translated and localized, and you can always trust us if you want to turn your website into a multilingual one. We only employ translators who combine technical expertise with proven experience. Understanding the demands, requirements and the cultural differences is very important when providing translation services. Many overlook such factors. With NordicTrans however that is not the case. Our professional translators understand and value each and every aspect of the translation and its purpose. It is quite tricky to translate one language to another and to make it recognizable to its speakers. Sentences cannot be translated word for word when it comes to targeting another market, as different languages use different ways of writing. A skilled translator will translate a document in a way that every sentence will make perfect sense to its target readers, while conveying the same message. 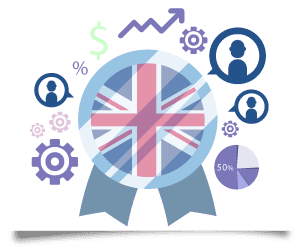 Once you choose to go with our translation services in the UK, you will find a personal account manager has been assigned to you, who will understand your requirements, objectives, and preferences and will be further in charge of your translation projects. 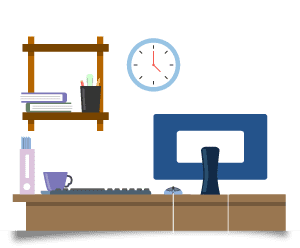 That being the case, you can easily discuss your demands with the manager and he will make sure the best fitted translators are appointed to the job, which will be done according to your needs. Companies are often looking to expand into foreign markets, and UK companies are no different, but in order to do that, accurate translation and localization services are needed. Adding another page on your website is easy, adding a second version of the website in another language is not. SEO needs to be kept in mind and you can’t simply translate your keywords, you’ll need help from a native who knows what his co-nationals are actually looking for. We can help you with all that and once we get started you won’t have to lift a finger or deal with technicalities, our translators and web specialists will do all the work. And since we are a UK translation company which is interested in quality and customer satisfaction, you won’t have anything but good things to say when we’re done with your project. We also deal with individuals customers, mostly people who are immigrating to the UK and need to have their personal documents translated fast and at the best price. Certified translations are being delivered to tens of individual clients everyday, and we have yet to hear one of our translations was not accepted. That is because we do the translations and the certifications according to immigration regulations, and our legal translators are always up to date with the requirements. If you need to have cheap certified translation services in the UK, get in touch!